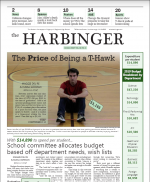 This month, Superintendent Christine Johnson was disappointed to not get any “hurrahs” over an announcement to the Southborough School Committee. That was likely because it sounded a lot like her announcement last spring. Johnson said she is hopeful that the budget will allow Southborough to offer full day Kindergarten next fall without charging tuition. The lack of excitement was likely based on all the caveats in the announcement. In her cautious style, Johnson noted that the budget process isn’t complete and that outcome isn’t certain. So stay tuned for more on that as the committees continue to prepare budgets in time for an early March Town Meeting. It’s worth noting that Johnson credited the progress made to the School Committee prioritizing the initiative. She pointed out that the committee’s budget priority list is a big part of determining what initiatives and resources are funded/unfunded/postponed. I need to give a shout out to the student journalism out of our high school. I had mistakenly thought that all of the school newspapers work these days was posted as stories on the website. In looking on the site for information on another Algonquin topic, I stumbled across the links to its latest print issue with additional stories. Between activities and class dues, every student of the class of 2019 will pay $365 by the time of graduation. Add in an optional parking permit junior and senior year, and that cost goes up to $765; if a student plays one season of a sport for four years, the price spikes up to $1,565. And if a student is a three-sport athlete for four years? Fees add up to $3,165. The story isn’t a slam piece on the administration. It includes the school’s explanation for why fees are necessary and how they are used. It also includes perspectives from students. 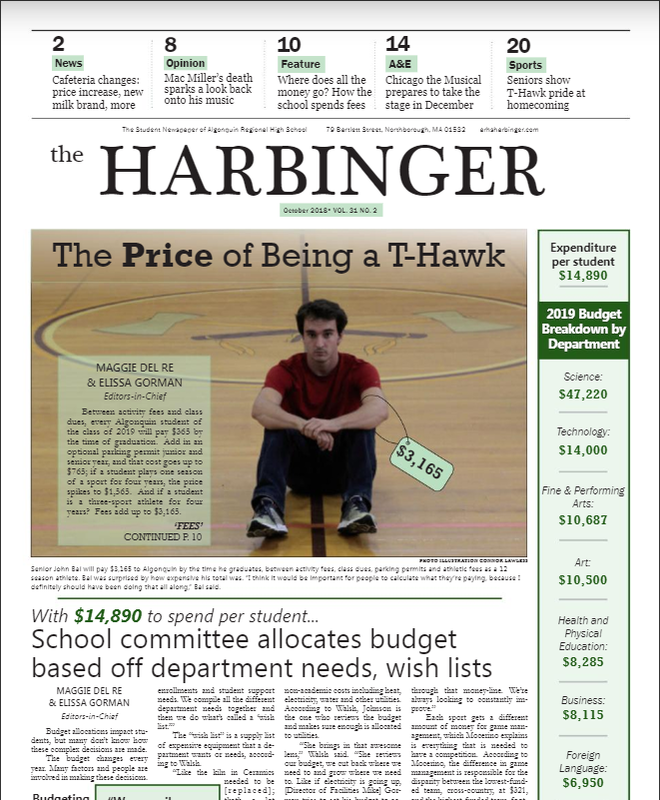 The story is paired with another article that breaks down how the school committee allocates its budget of $14,890 per student. Those are just two of many stories in the October 2018 issue. 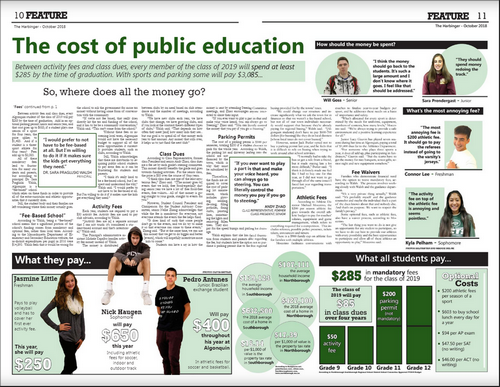 For readers who care a lot about the school’s budget priorities and fiscal choices, it’s worth the read. It will also be of interest for people who just want to keep tabs on whats happening or being talked about in the town’s high school. You can find it online here.